Batman Vol. 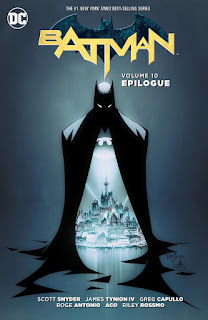 10: Epilogue is a controversial volume, the story contents within notwithstanding, because of DC's decision to shunt just two issues of the Batman regular series to their own volume. I do actually applaud DC's commitment to collecting every single issue of the New 52 Batman series, whether written by series author Scott Snyder or not. If I have a criticism, it's not in the decision to collect the stories -- and so if the decision was to collect or not, then DC made the right one -- but rather that it clearly seems there were other places along the way these stories could have been included other than their own volume. The greatest difficulty is how this volume narratively casts the end of Snyder's Batman run for the uninitiated reader who might not know this "end" wasn't precisely how the end played out order-wise. That said, there's not a bad story in here, and certainly they all have their redeeming qualities. The final two issues of Batman are not quite the thematic epilogue that this volume's title promises and in that respect I also might have preferred to quit with the ninth, but again, each issue has plenty to speak for it. Further, the Batman: Rebirth special by outgoing writer Snyder and incoming writer Tom King is a shot of adrenaline and makes me optimistic about where the Batman title goes from here. Epilogue's reason for being is Batman #51, the final joint issue of Snyder and Greg Capullo's Batman. Capullo's lines are cool and crisp here; it certainly looks like an issue of importance that someone took their time with, befitting its place in this run's history. Of the story, however, I more enjoyed what little hints Snyder drops of new stories to come (concerning Arkham, the Court of Owls, the Penguin, the Joker) than I did the story's thematic wrap-up of Snyder's run. We get a second chorus of Snyder's humanist Batman message here, that Batman inspires us to do better and be better, which is fine but I thought Snyder via Jim Gordon presented it better at the end of Batman Vol. 9: Bloom than here through a too-loquacious ex-con-turned-columnist. Arguably I also think Snyder may be taking "Batman inspires us" too far, to the extent that he's got his Batmans and Supermans mixed up, but I sooner chalk that up to a philosophical difference than a story flaw. Problematically, James Tynion instead of Snyder gets Batman's final issue, #52; DC could've switched the publication order of these issues. But what Tynion writes is a moving story of young Bruce Wayne's trauma, and nicely drawn in sketchy indie style by Constantine: The Hellblazer's Riley Rossmo. If I can quibble, the only flaw is that Tynion ends the story on a note of Bruce's dedication to his parents Thomas and Martha Wayne, wholly overlooking (as Snyder recently reiterated) that in total Alfred has been Bruce's "father" longer than his actual parents and at this point Bruce sees him that way. This is a fine finale that even works in the number 52, but I though Tynion missed an opportunity to really call back to one of Snyder's themes. For completeness, again, I appreciate the inclusion of the the Batman: Futures End issue and Batman Annual #4; the former is by Snyder and Ray Fawkes and the latter is by Tynion. The Futures End issue has art by Constantine and Midnighter's Aco, always great to see, and delves into the cloning storyline from Bloom and Snyder's Detective Comics #27 tale; though well drawn, it's mostly a prolonged action sequence with a little story at the beginning and end. The Annual takes place in the middle of "Superheavy" and tells of Bruce winning back Wayne Manor from Arkham Asylum (with some villainous interference); it's a fine story if nothing else for wrapping things up for Arkham Manor fans. But for someone looking to read Snyder and Capullo's Batman with literary sensibilities, as I believe it has, or for those not in the know about what issue was published when, how to understand the placement of these issues? If "Bloom" was the alpha of the clone story and Bloom's "Twenty-Seven" story the omega, what's the point of telling a new story somewhere in the middle that adds no new information? How to interpret going back to the middle of "Superheavy" when Bruce Wayne's re-taking Wayne Manor is already fact? We know the answer -- these stories weren't meant for the end of the book -- but not everyone will, and I don't think that's such a small thing. Fortunately the close is Snyder and Tom King's Batman: Rebirth, exactly what the close should be. The writers work in metaphor here, using Batman's conflict with the Calendar Man to acknowledge the never-ending "cycle" of Batman's (and indeed most superheroes') deaths and rebirths. In what I begin to recognize as King's style, the action here is suspenseful and thrilling; also Justice League Dark artist Mikel Janin depicts it all perfectly, especially Bruce Wayne hanging one handed from a vertigo-inducing height. It's all very slick, befitting what's become DC's flagship title, and also I like Duke Thomas here, the post-modern Robin who doesn't need Batman and isn't even Robin. All of that made me eager for both King's Batman and Snyder's All-Star Batman. Batman Vol. 10: Epilogue is mismatched and mis-organized, but if you've come this far I can't imagine you're about to stop now. To read this book after all the others is to say you've climbed the summit and reached the top and read all of the New 52 Batman title and it's accompaniments, which is better than if they hadn't been collected. "Epilogue" it is not, but finished and complete it is. I enjoyed this book quite a bit, it gives you a good collection of stand alone Batman stories. I view it as more of a companion volume alongside volume 6 'Graveyard Shift'. I boycotted this volume and write DC to voice my miscontent. 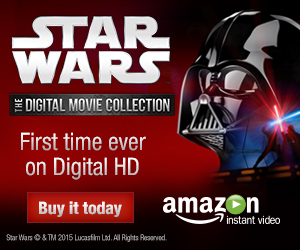 Feels like way too much of a money grab for me, although my collection feels a bit incomplete because of this. I hated the rebirth issue. Annual 3 is missing from the Batman collections. It was in Joker: Endgame with the EG one-shots and the main story. That's true; I thought everything was in the Batman collections proper but you're right that the Annual -- and also the backup stories? -- are only in the Joker book.